Freight forwarders serve as a conduit for global trade between importers and exporters getting their clients goods to their destination on time and in good condition. Furthermore, freight forwarders act as an intermediary between a shipper and various transportation services such as ocean shipping on cargo ships, trucking, expedited shipping by air freight, and moving goods by rail. Freight forwarder’s responsibilities include preparing and checking bills of the carriage, arranging insurance, ensuring the lowest possible customs charges are levied and, where necessary, arranging storage. The moment freight forwarders sign or accept a contract with the customer they are exposed to several unique risks and liabilities. Here are several risks and liabilities that Offshore Back Office Solutions and Back Office Offshoring Services have listed and how it can be covered and minimized. 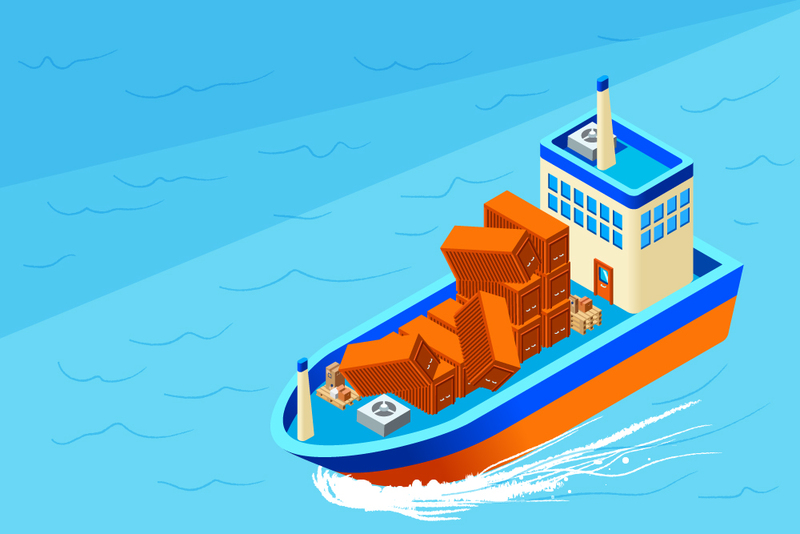 Millions of containers are loaded into vessels and shipped across the seas every day. There are some containers that safely made it to their final destinations without any trouble, but there are those that encounter issues along the way. One of the reasons of losing cargo is due to bad weather which is inevitable, and also if there’s an uneven distribution of the cargo inside the container which leads to unexpected movements of the vessel, it would result in damaging or worse—losing the cargos. But the weather is not always the main cause of losing cargos. It could possibly be because of cargo theft as well. Cargo theft has been around for years. It even becomes an international problem that affects consumers and businesses. These are the reasons why there is a loss of cargo but worry not because we have covered something on how to prevent or minimize the loss of cargo. To prevent loss of cargo due to bad weather, load the goods properly and check if the containers weighed accurately so that during extreme weather conditions when turbulence is possible, any unsteady movement won’t damage the cargos. In preventing the cargo theft, you should establish a security culture within your company. Provide security training to your employees and educate truck drivers on hijack awareness and prevention. 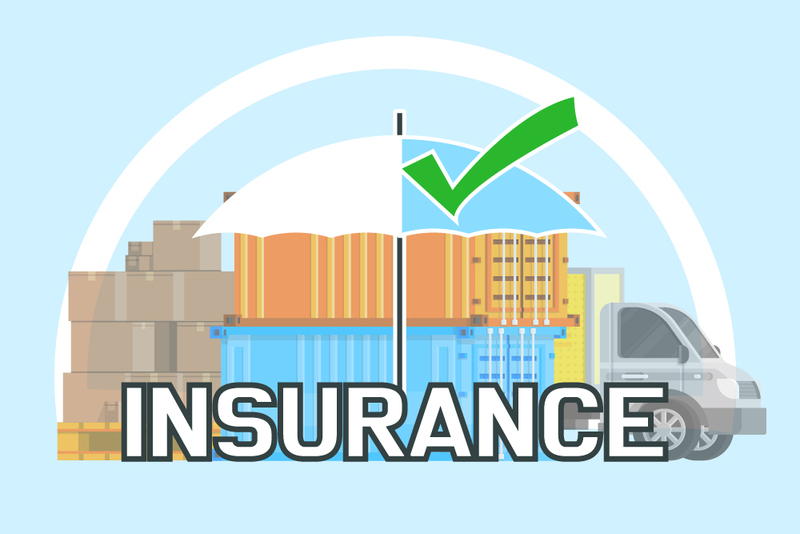 Many freight forwarders considered taking extra measures and avail of cargo insurance so that they won’t have to burn holes in their pockets when something goes wrong unexpectedly. This is one of the most troubling risks of a freight forwarder. After having everything ready and set to transport the cargos, you will receive a notification that the documentation submitted to the carrier was incorrect and that the cargos are shuffled and were put on the wrong containers. That would be exhausting! Imagine you have to put everything out of the containers and then put it back again and this time to the right containers. This mistake would consume a lot of time, and because of that, cargos are most likely delivered late and the freight forwarder will have to take responsibility. If only the submission of the documentation was done right, there would be no need to reroute the cargos. The freight forwarder is set to face the consignee to explain themselves on why such delay in forwarding the cargos occurred. To prevent this from happening, make sure to double check the goods inside the container. Before moving the goods confirm it from the freight forwarder first if the documentation submitted is correct so that there will be no rerouting of cargos to be made. It is much better to be sure and prevent the risk to happen. Put this in mind that an ounce of prevention is worth a pound of cure. This risk is a cost charged by the steamship lines that occurs at the port area when containers are held longer and are not being dispatched on the allotted free time. Free time in contracts can vary, so be sure to check yours to make sure you understand exactly how much free time you get. Once the free time expires, you will be charged daily storage fee until you pull the cargo from the terminal. The fee is intended to discourage the use of the carrier’s equipment for storage purposes and to compensate the carrier for use of their equipment. There are many different reasons caused by the demurrage—it could be freight release or customer release of the containers, long exams, damaged or overweight containers, which cost the importers to pay additional and also will delay the cargo delivery. In order to cover or at the very least minimize this risk, you should think ahead and dispatch the cargo as far in advance as you can. Do not gamble in your delivery schedule—between inclement weather and backlogs at the port, there’s no guarantee that everything goes according to your plan. Just a little time buffering and it could cost you extraneous fee at bay. You should always be thinking ahead and never underestimate the delays that could delay the process and get your drivers eyeing the clock. Abandonment of cargo refers to the action taken which denies the interests in the cargo and thereby avoid liability associated with it. 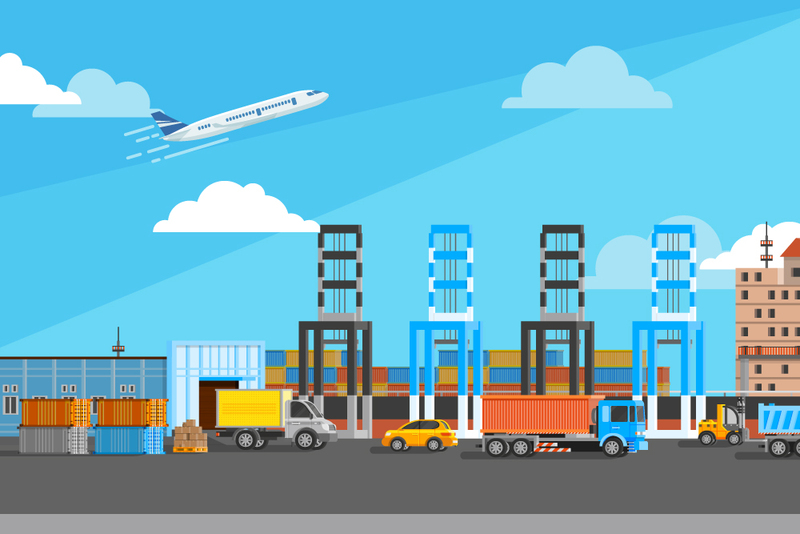 Abandonment of cargo usually happens if the consignee who was supposed to receive the cargo suddenly abandons it due to lack of funds, cancellation of the order or maybe the consignee has yet to clear the shipment. In this case, check if what type of bill of lading is being issued. To avoid such issues, carriers should be aware of the value of the cargoes being carried and ensure that their Bills of Lading have a clause entitling them to conduct auction after relevant notices have given. As for the carrier, they should know their customers and cargoes so as to avoid any irrevocable chargers. As much as possible, it would be much better to implement proper risk management process to deal with any uncleared cargo to avoid any form of costs. When your cargo rolled because of carrier issue, the carrier will automatically re-scheduled your shipment and place it into its next-departing vessel. Any extra charges involved will be covered by the carrier. However, should your cargo get rolled due to missing paperwork or customs problems or failure to comply with certain requirements, you will be charged for the rollover. Rolling of cargo tends to happen more to shipments requiring transshipment or with end destinations at lesser-known ports. This is because they will need to be loaded into different vessels various times, which heightens their risk of getting rolled and missing a connecting vessel. It is never fun to hear that your container hasn’t made the vessel. You will be in a hurry to inform your fellow supply chain partners and rectify what went wrong on your end. In order to prevent your cargo from getting rolled, you should book your shipment as early as possible so that you will have enough time to prepare all the documents required and make sure everything checks out for seamless custom clearance. Other than that, transshipments should be avoided—it is because containers traveling on routes with transshipments run a much higher risk of getting rolled. Incorrect License and Certificates usually happens in export where goods are manufactured for a new client in a new place that you are not familiar with. Incorrect import or export licenses and Certificate of Origin cause shipment delays. The goods can be collected by the freight forwarder, but they are unable to forward it if no one has checked whether an Export License is needed. Therefore, the goods will be stuck in the freight forwarders warehouse for a few weeks while this is checked. As a result, you cannot invoice the client—you will then have to explain the delay, which could expose your incompetence. Without the correct Export License, neither the freight forwarder or the Customs are clearing agent can prepare or submit the export declaration. To get yourself covered from the delay caused by the incorrect license and certificates, familiarize the places of your new customers. On top of that, make sure that the license and certificates are done properly the same goes with the Certificate of Origin. It must be complete, certified and verified, to make sure that the particular export shipment is well produced, manufactured and process in a certain country. But even if freight forwarder takes care all above on behalf of the client even if unintentional risks are inevitable, and will eventually happen and they could be held liable. Therefore, freight forwarders need to be diligent just like us— Back Office Offshoring solutions, and secure an insurance for business continuity.